A man from Ontario, Canada, was visited by police earlier this week while he was spending a night at home with his pet parrot. 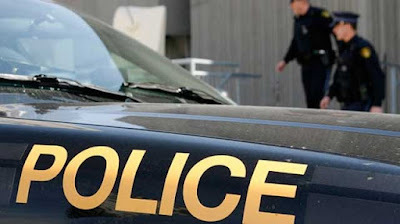 Police in Brighton, between Toronto and Kingston, said they were originally called to a home at 8pm on Tuesday after neighbours heard what they believed to be a domestic dispute. Northumberland OPP Const. Steve Bates said the neighbours knew the home was usually occupied by a couple. But police found only one person when they arrived. "They heard him yelling and saying, 'I hope you die," and so on and so forth," Bates said. "So we attended and we located the male of the household alone in the house screaming at his pet parrot who apparently was 'beaking off' at him, in his words." 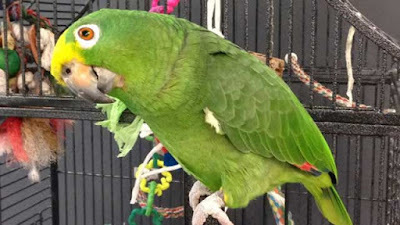 The man had been drinking, Bates said, adding that the parrot did not appear to be hurt in any way. Police did not lay any charges. Bates described the call as a "very interesting" one for attending officers, adding such incidents sometimes create a welcome diversion. "These are the kinds of stories that police run into all the time," he said. "It just adds some levity to the job."